A newly-released annual government survey cites “media attention” as a reason why it has become more difficult to enforce federal laws banning cannabis. A newly-released annual government survey cites “media attention” as a reason why it has become more difficult to enforce federal laws banning cannabis and appears to blame the media for disseminating misleading information about the laws and consequences of cannabis use. 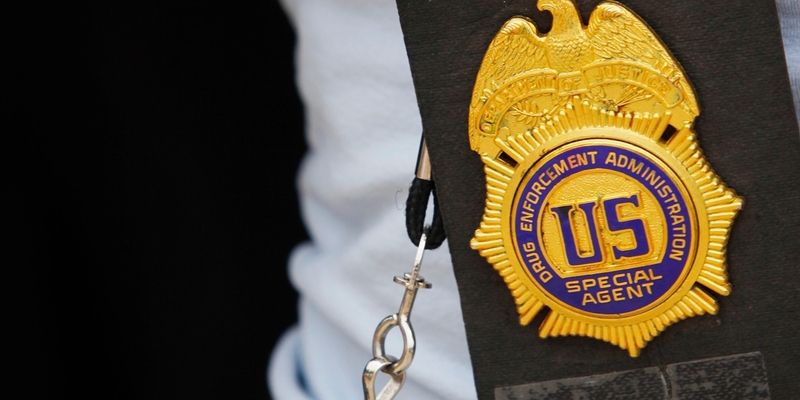 The Drug Enforcement Administration’s (DEA) Drug Threat Assessment is an annual report that offers guidance on how the United States is being affected by the illicit drug trade. A great deal of the survey deals with the country’s ongoing opioid epidemic, which, between heroin and prescription pain relievers, which according to one estimate claimed the lives of over 20,000 Americans in 2015 alone. The DEA’s report puts things into even starker figures: Drug overdoses are now reportedly the leading cause of injury death in the country, killing an average of 129 people per day. Sadly, this report reconfirms that opioids such as heroin and fentanyl – and diverted prescription pain pills – are killing people in this country at a horrifying rate… We face a public health crisis of historic proportions. Countering it requirs a comprehensive approach that includes law enforcement, education, and treatment. Despite state laws around the country allowing for the legal use of cannabis, this year’s DEA summary devotes a great deal of its bandwidth to cannabis. Specifically, the report reviews specific statistics around cannabis use throughout the country and given regions, such as rates of usage (particularly among young people,) the rise of cannabis markets, the prevalence of the cannabis trade, and the rates and means of cannabis production. Curiously, the report also appears to grudgingly admit the failure of prohibitionist policies in curbing the cultivation and use of cannabis, going so far as to blame the media and nationwide medical cannabis initiatives for less-effective government enforcement policies. Varying state laws, as well as an abundance of media attention surrounding claims of possible medical benefits, has made enforcement and prosecution of marijuana-related offenses more difficult, especially in states that have approved marijuana laws. The report does not specify which media accounts it finds misleading. In sum, the report devotes 22 pages to the issue of cannabis, which accounts for six more pages to the section covering the use of prescription painkillers. Despite the DEA’s continued enforcement of the government’s prohibitionist policies, however, the report goes on to stipulate that the DEA is supportive of the further research and testing of cannabis for its medical possibilities.